A Zebra label printer can help streamline your business processes, making your shipping, receiving, inventory, warehousing and sales departments more efficient and productive. At Tri-State Business Systems, we have the Zebra labels and printers you need to more effectively operate your business. From desktop printers and mobile printers to RFID printers and everything in between, we have the selection to meet your every need. Business equipment, such as printers, copiers and computers, is an investment, and prior to selecting a model, you should consult with a reputable supplier to ensure that your new purchase will meet your needs while offering you additional features to further propel your business forward. 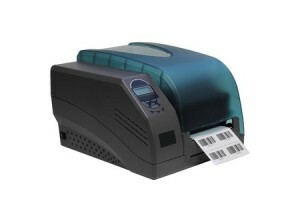 So, if you are looking for a Zebra label printer, Zebra labels or any other equipment or supplies for your barcode or labeling systems, contact the experienced team from Tri-State Business Systems today. We are proud to supply many of the world’s fortune 1000 and fortune 500 manufacturers and look forward to providing you with high-quality barcode and labeling equipment and supplies as well as unparalleled customer service and support.